The Mindful Kitchen Company brings people together to cook, bake, breathe and eat. Run by Miranda Gore Browne (The Great British Bake Off Finalist and Cookery Writer) and Gillian Higgins (International Barrister and Founder of Practical Meditation), the Mindful Kitchen experiences are a moveable feast and can be held at The Kitchen School in West Sussex, in the workplace or at selected locations across the country. Learn and share new life skills. Baking and mindfulness meditation form the heart of the retreat. Throughout the day, there are plenty of opportunities to ask questions and share experiences. Take home some new cooking techniques and meditation practices. Your Mindful Kitchen Company experience can take place at The Kitchen School in Lodsworth in West Sussex, at the workplace or at selected locations around the country. It can be either 1/2 day or full day retreat, depending upon requirements. We can cater for up to 50 people, depending on the location. In West Sussex, we take time during the retreat to forage and walk in the beautiful South Downs National Park. 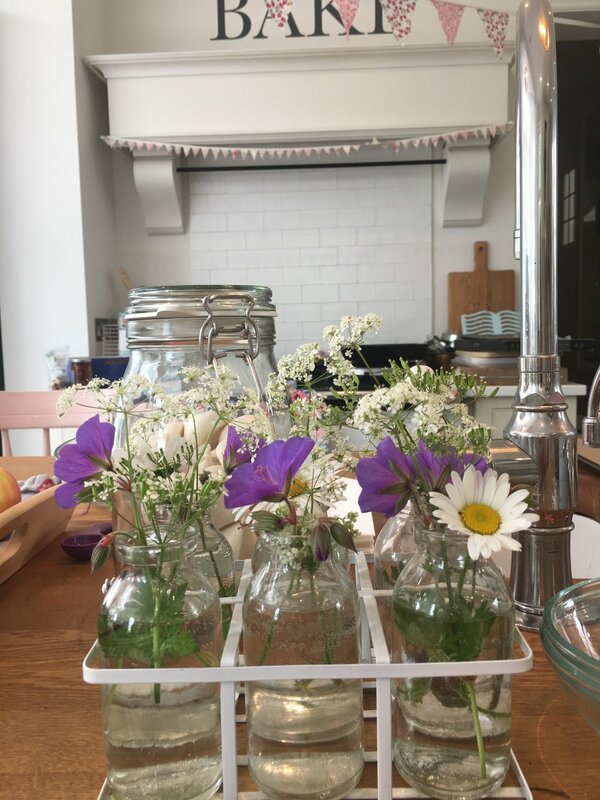 There are opportunities to collect herbs, learn about edible flowers and gather other seasonal produce from nature's garden for the lunch table. 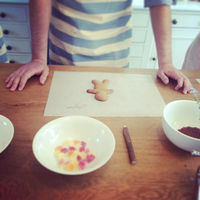 At The Kitchen School in West Sussex, a typical day with The Mindful Kitchen Company involves learning new cookery skills and the essence of mindfulness meditation. Beginners are particularly welcome. In essence, the retreat is centred around a combination of baking and breathing. After weighing ingredients and perhaps kneading some bread, it's time for a walk in the forest and a forage. After a guided sound meditation outdoors, we return to base for a warm drink by the fire pit in time to check the bread and share lunch. After lunch, there's time for another mindfulness practice with a question and answer session. After decorating the cakes for afternoon tea, the day ends with a period of reflection, your own takeaway goodies and mindfulness practices. Be mindful about the everyday. Calm your inner critical voice. Build better relationships at work & at home. Make simple changes & feel the difference. Discover simple ways to eat better, live better and work better by putting food and meditation at the heart of life. The Mindful Kitchen Company uses well-tested methods that are realistic, practical and fun. Reduce stress in the workplace and build resilience in individuals and teams. "It was a great reminder to be in the moment." "Fabulous morning - filled with love." "Thank you so much for welcoming us into your home, feeding our souls and filling and emptying our minds." "Never has a morning out of the office been so constructive and so valuable." Miranda achieved widespread acclaim as a finalist on the first series of BBC2’s The Great British Bake Off. She was highly praised for her home baking, which was described consistently as both delicious and beautiful. Mary Berry remarked that Miranda reminded her of herself when she was younger. Miranda made a great impression with her “signature bake” biscuits in the form of perfectly dainty decorated shoes, pretty dresses and stylish handbags; and she also featured in BBC2’s The Great British Wedding Cake. Miranda spent a successful career immersed in Foods at Marks & Spencer, where she gained a wide base of knowledge and expertise in the food industry. This experience has led her to be in demand as a food specialist, consulting for food businesses. 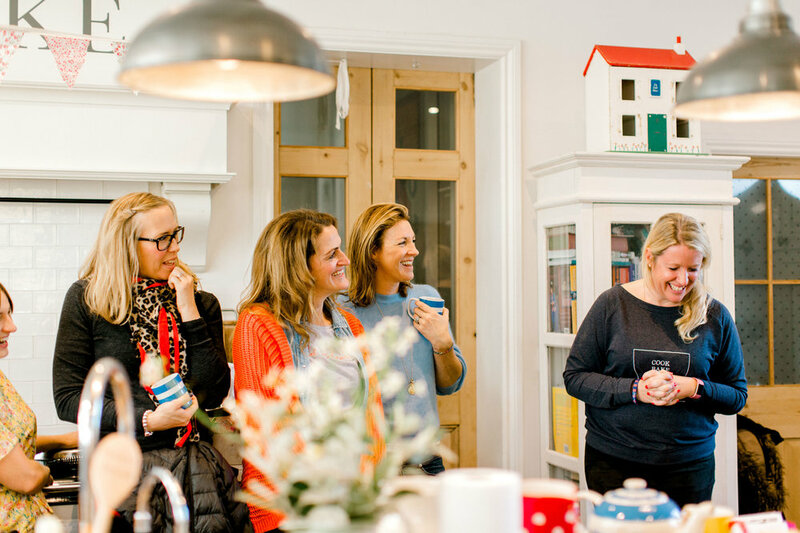 Miranda runs The Kitchen School from her home in West Sussex and is always busy teaching, demonstrating and sharing her love of baking at press events, festivals and demos. She lives with her husband, three children, dog and chickens in the heart of the South Downs National Park and thrives on putting baking at the heart of life. Gillian is a leading international criminal barrister and meditation teacher. She established "Practical Meditation" in 2016 and is passionate about using meditation practically in the workplace to reduce stress. Last year, she designed and led meditation sessions for barristers, solicitors, mediators and accountants in and around London and West Sussex. Gillian published her first 7 day E-Course "Introduction to Meditation" earlier this year. Please get in touch with us if you would like to find out more about our forthcoming events or discuss your bespoke, corporate package.